Day 1 – Arriving in the late afternoon, setting up camp, and then taking the metro into the city at dusk was perfect. 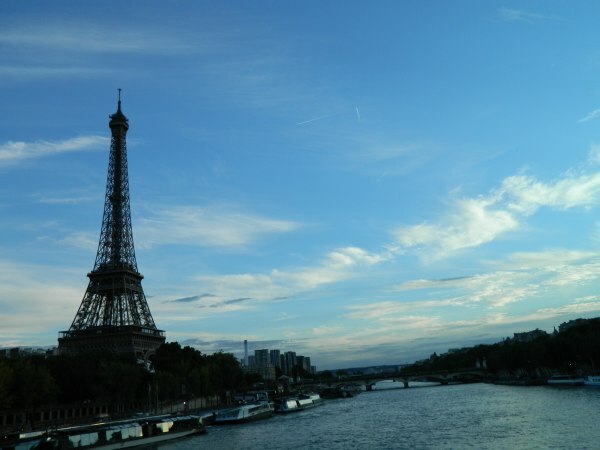 We arrived at at Eiffel Tower as the sun started to set and began our climb. We ascended the first 400 feet using the winding metal stairway, and then crammed into the crowed elevator for the next 900 feet to the summit for great panoramic views of the city. 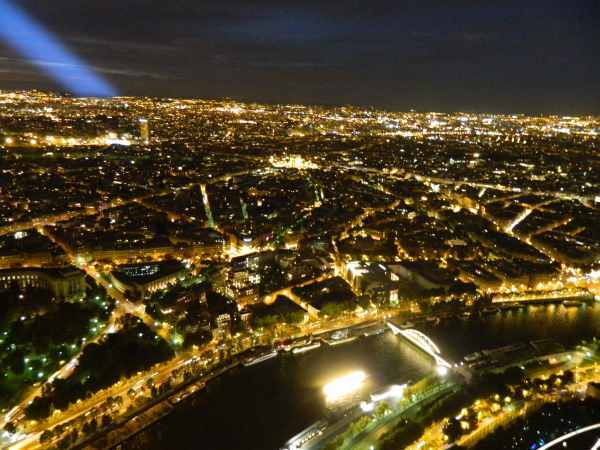 We celebrated with a glass of champagne, enjoying the incredible night views of the city before riding back down to the second story and descending the rest of the way downm by again using the deserted stairway, while others continued on the elevator (our legs still feel every step). 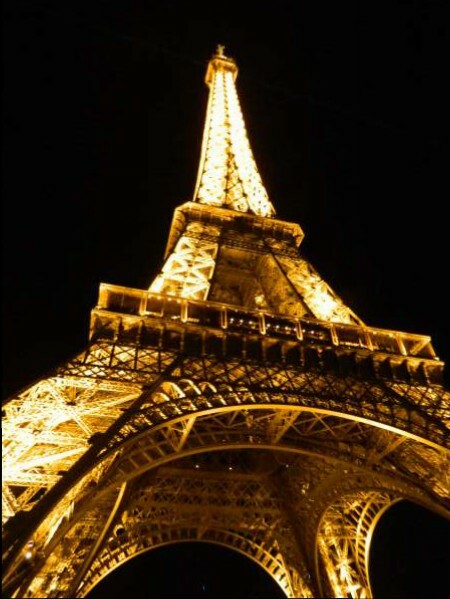 The Eiffel Tower contains over 7000 tons of metal and 60 tons of paint. The beginning of our climb, notice still smiling. The view is worth the hard work getting to the top. View from the ground is not bad either. Day 2 – Who, but us, spend their second day in the world capital of art, fashion and fine food doing laundry, grocery shopping and cleaning? 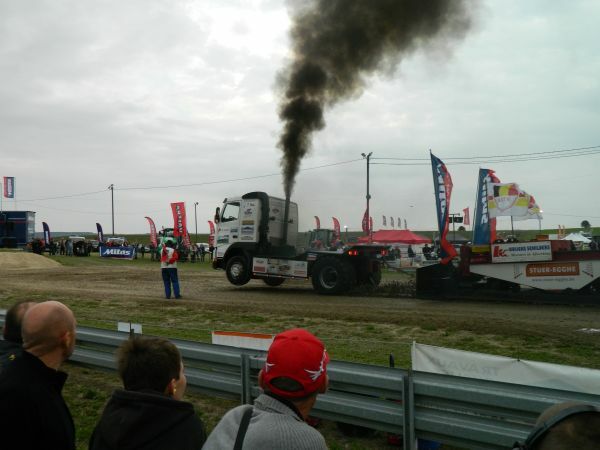 Day 3 and 4 – We left Paris for a tractor pull? 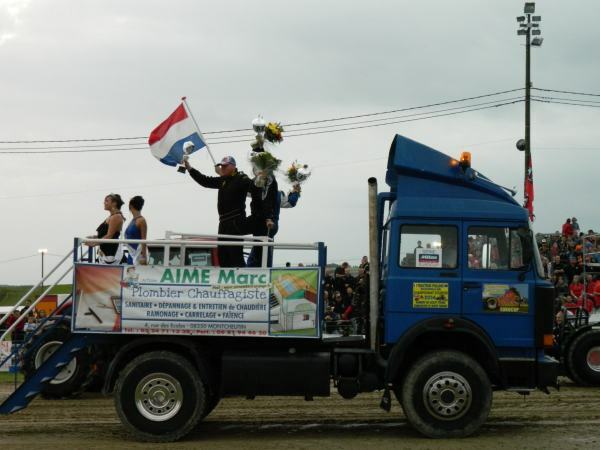 Not just any tractor though, the European Championships! While in Verdun, we saw the advertisements for the event, and knew we could not pass up the opportunity to return on the weekend. Driving 120 miles turned out to be well worth the time. Having always heard that the Europeans are serious about this sport, we had to find out for ourselves; we were not disappointed. in our opinion, the competition and overall quality of tractors was the best we have seen. We enjoyed the two day event. 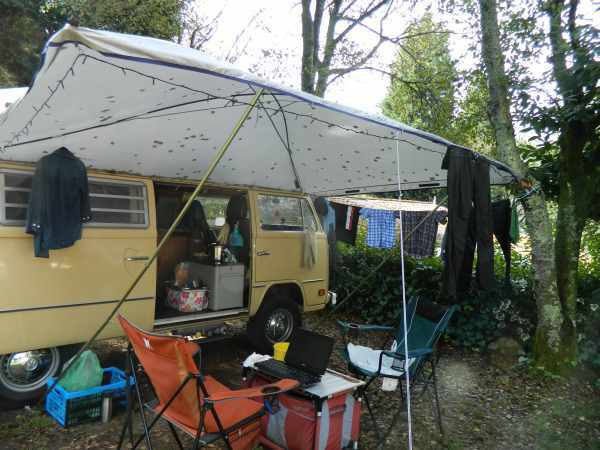 We camped with hundreds of other spectators, taking in the complete experience. 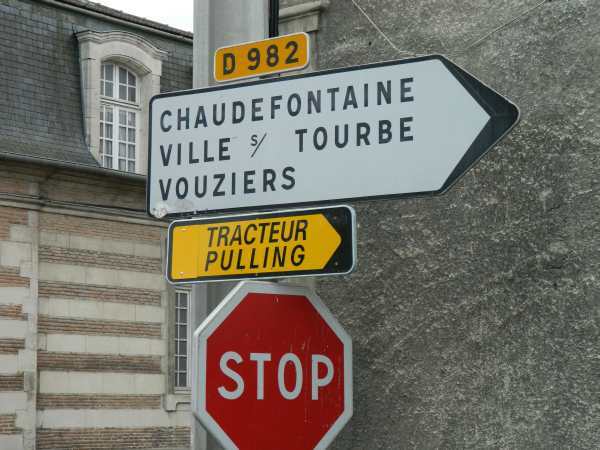 They take their tractor pulling seriously, even have official signs pointing the way.. The event started with the Mini Modified. It is amazing the different engine configurations and the use of old military aircraft engines. Here is a Rolls Royce V12 in the light weight class. Even trucks got into the action. The awards ceremony is a big deal, with the national anthem and all. 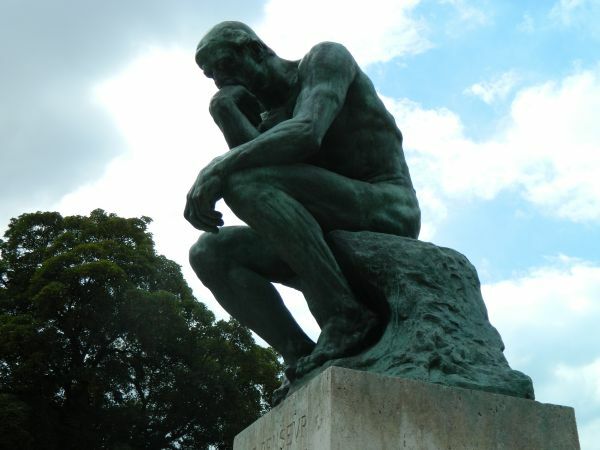 Day 5 – Back to Paris, the incredible, vibrant city that is home to some of the world’s best art including the Mona Lisa at the famous, but somewhat overwhelming Louvre, Monet’s Water Lilies at L’Orangerie, and my favorite, the Thinker at the Rodin Museum. 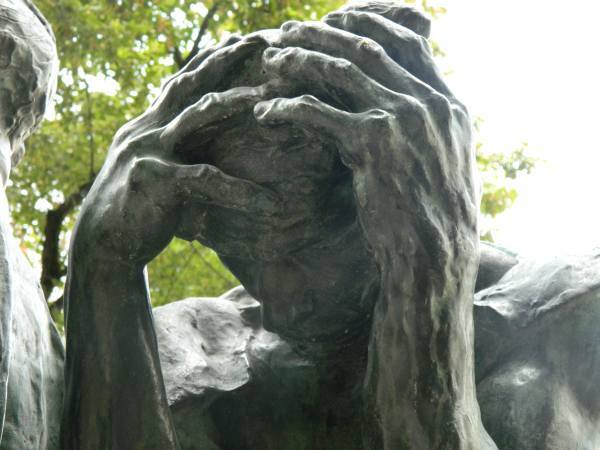 “The Thinker” at the Rodin Museum. 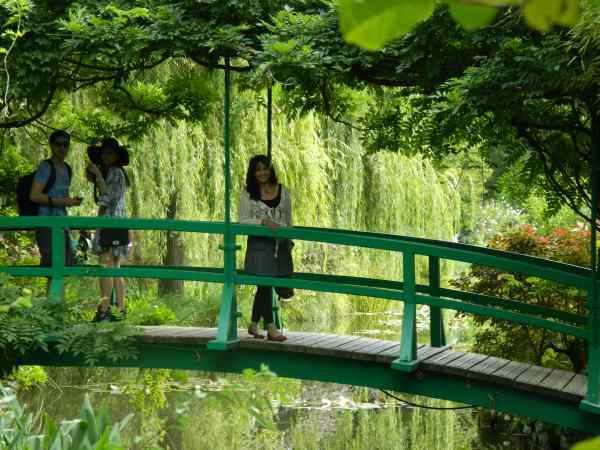 Day 6 – Impressionist art has always been one of our favorites, so we decided to take a drive to Giverny, to the home and gardens of Claude Monet. I was afraid I would be disappointed, but instead I was quite charmed by the gardens, the house, and the surrounding areas. 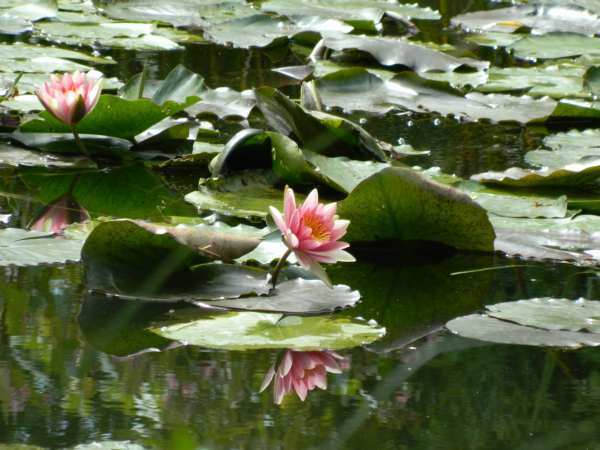 Getting to see the water lilies that were inspiration for Monet’s most famous paintings was amazing! 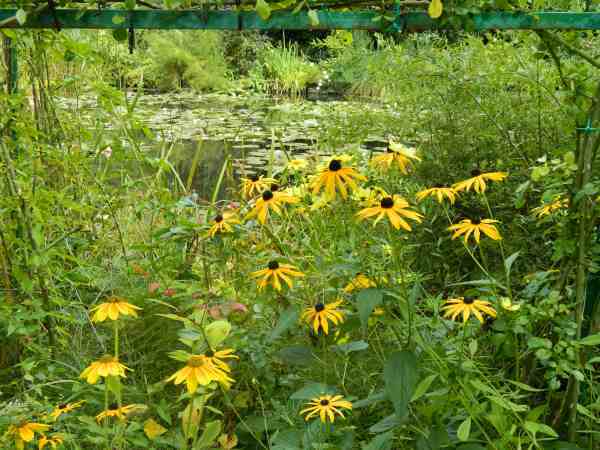 Water lilies and beautiful gardens. Day 7- A beautiful day walking and walking through this beautiful city. We window shopped in the trendy Montmartre district, toured the 700 year old Cathedral of Notre Dame, and finally walked under the street to the the magnificent Arc de Triomphe that Napoleon had commissioned to commemorate his victory in the 100 year war. 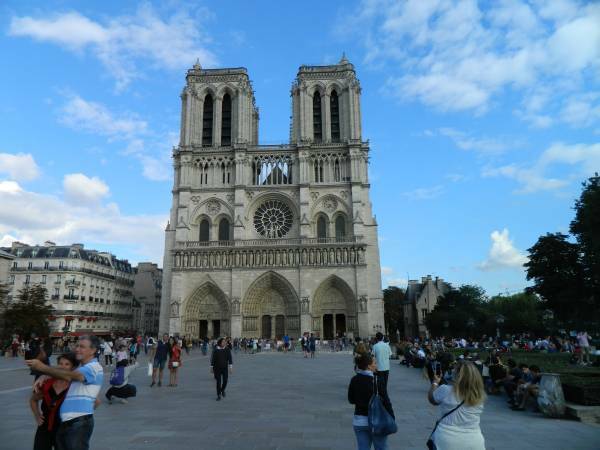 The always impressive Notre Dame Cathedral. 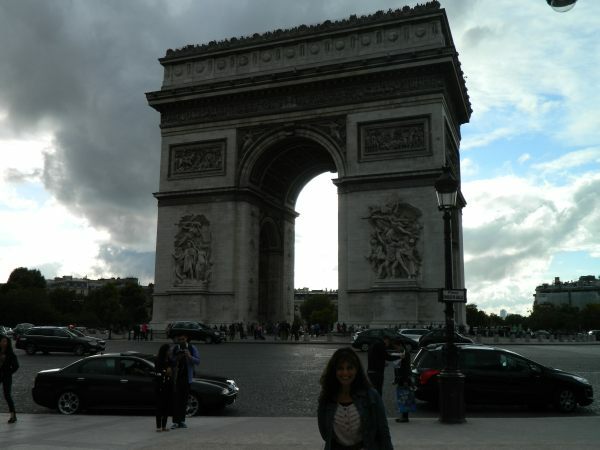 Arc de Triomphe, I am unsure which is more entertaining to observe, the Arc or the traffic in the roundabout. Watch this youtube video below to get an idea of the traffic conditions. I hope the scooter drivers have good life insurance! Day 8 – Time to continue our journey onward. 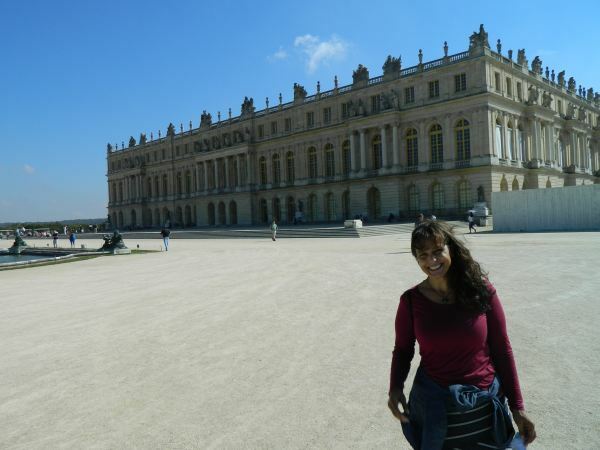 We decided to first take a quick side-trip to the Palace of Versailles. This gilded palace of all palaces, is where the Treaty of Versailles was signed (one of the peace treaties signed at the end of World War I), where the the the opulence and extravagance of the French monarchy began with King Louis XIV and ended with King Louis XI and Marie Antoinette. Back of the palace taken from gardens. 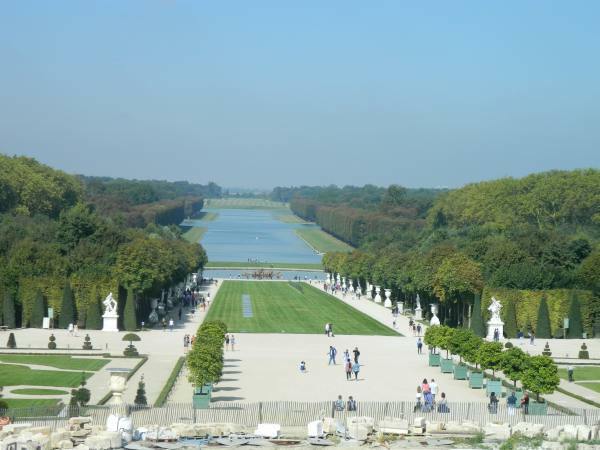 Impressive gardens to say the least, covering about 2000 acres. 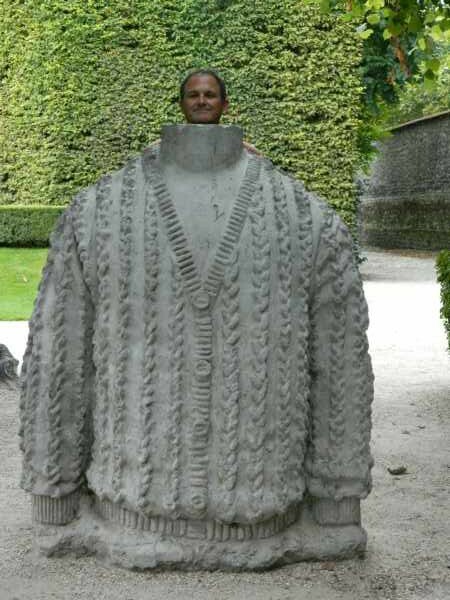 Thought the pictures of you on the Japanese Bridge and Steve’s new sweater were great. Oh gosh! I am not scootering in France. 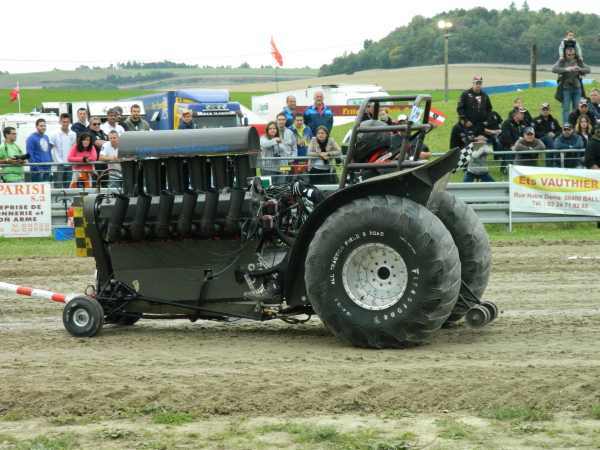 Tractor pulls in France? I’ve seen everything. Thanks for the email. We are still having a good time (in spite of the last three days of rain) there is something interesting to see and do everyday. Hope everything in Modesto is going well, say hello to everyone for me.